The Plopp stool series by designer Oskar Zieta delights with a unique look that results from the special FIDU manufacturing process. 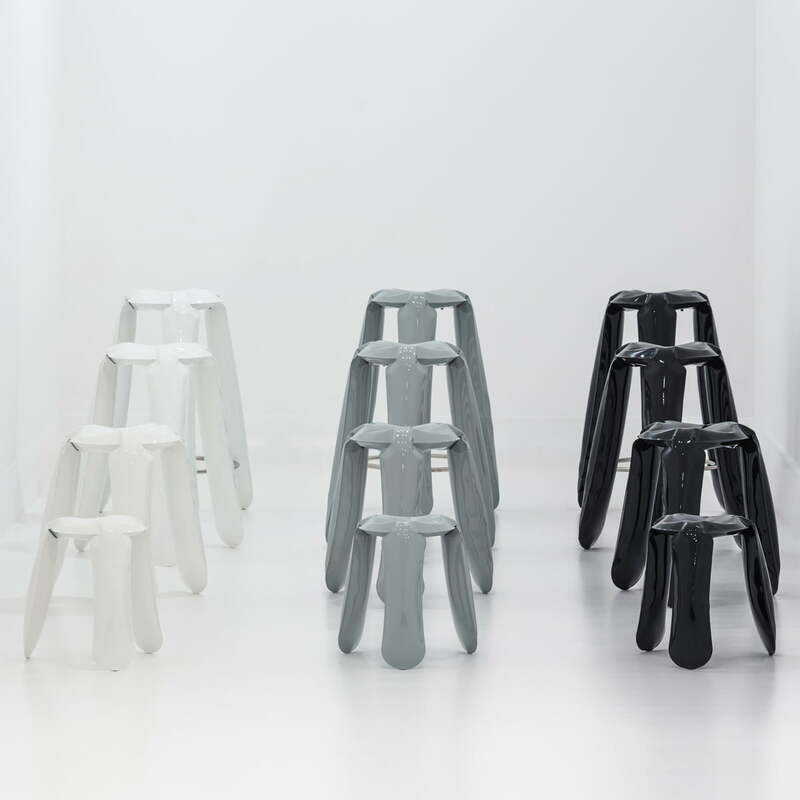 The stool is formed by air pressure and plays with the contrast between lightness and stability - unique seating furniture for your home or public areas. The tall version with a seat height of 75 cm is not least suitable as an individual seating at a counter in the kitchen, a café or at home. 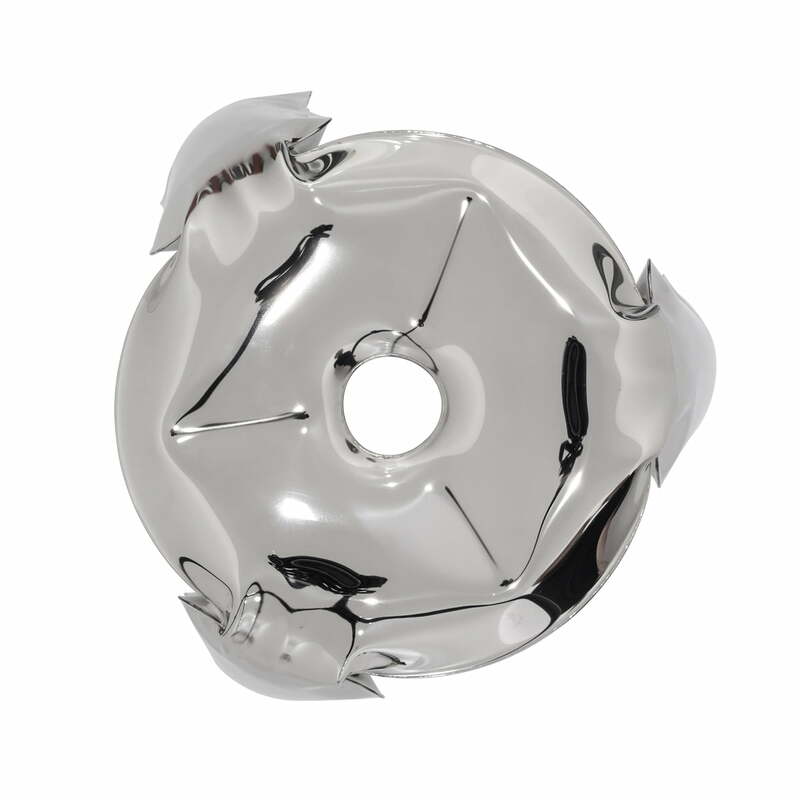 The designer Oskar Zieta began to experiment with the material steel sheet during his studies and thereby developed the "FIDU technology" (Freie Innendruck Umformung - Internal Pressure Forming), the thin, welded together steel plates are being inflated with air while being under internal pressure. 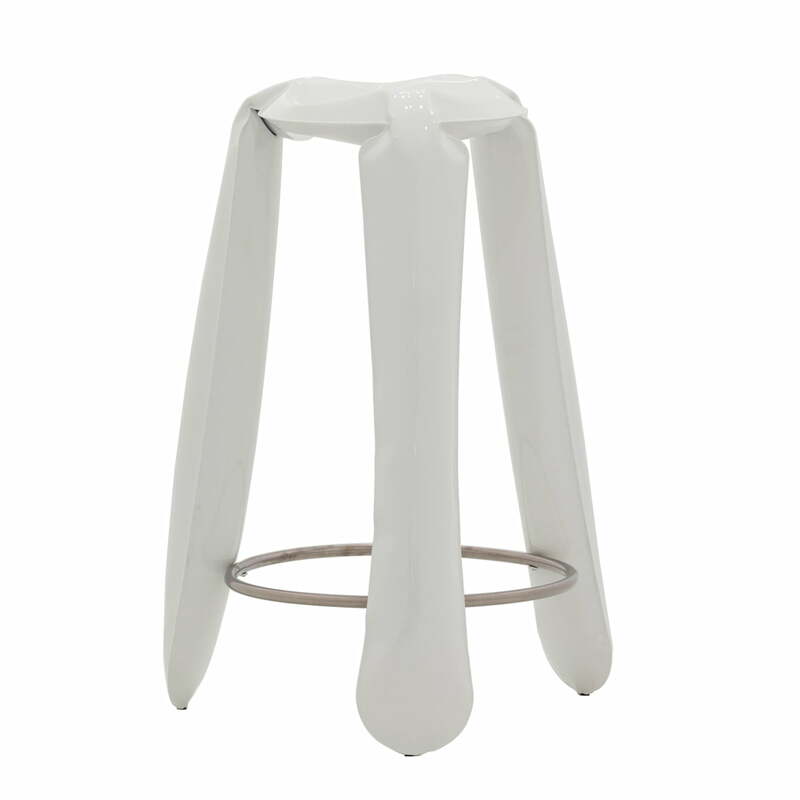 Standing on three wide legs and having a hole in the middle of the seat, the 75 cm tall stools looks like a balloon. But the appearance is deceptive. 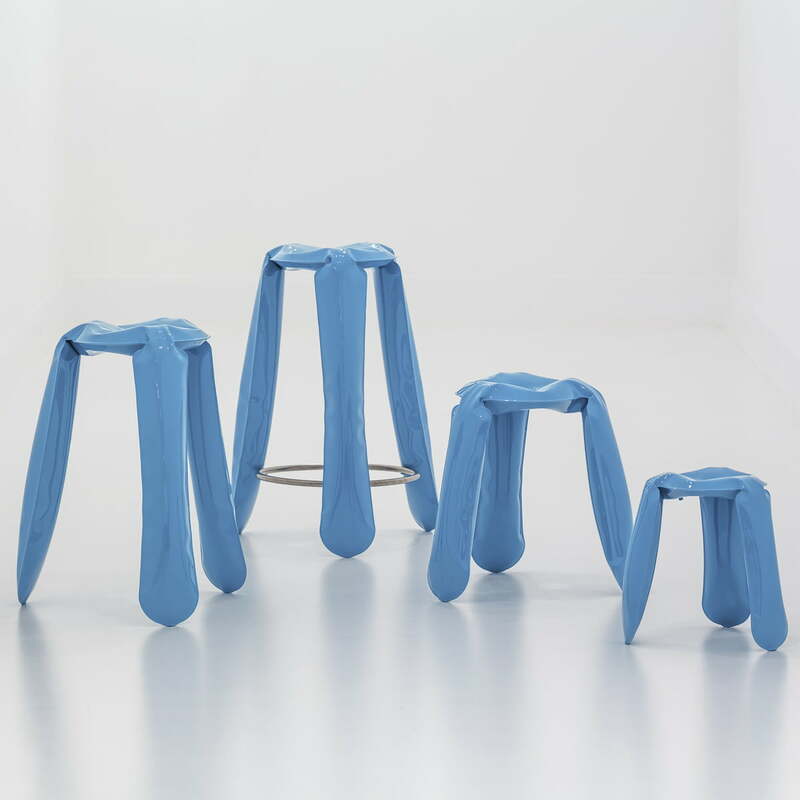 The Plopp stool is particularly resilient and robust due to the processed steel sheets. Thanks to its height and special stability the Plopp stool is the perfect seat at the counter in the cafe, bar or in the kitchen. In any case, the unique stool spreads an industrial and artistically-inspired charm. 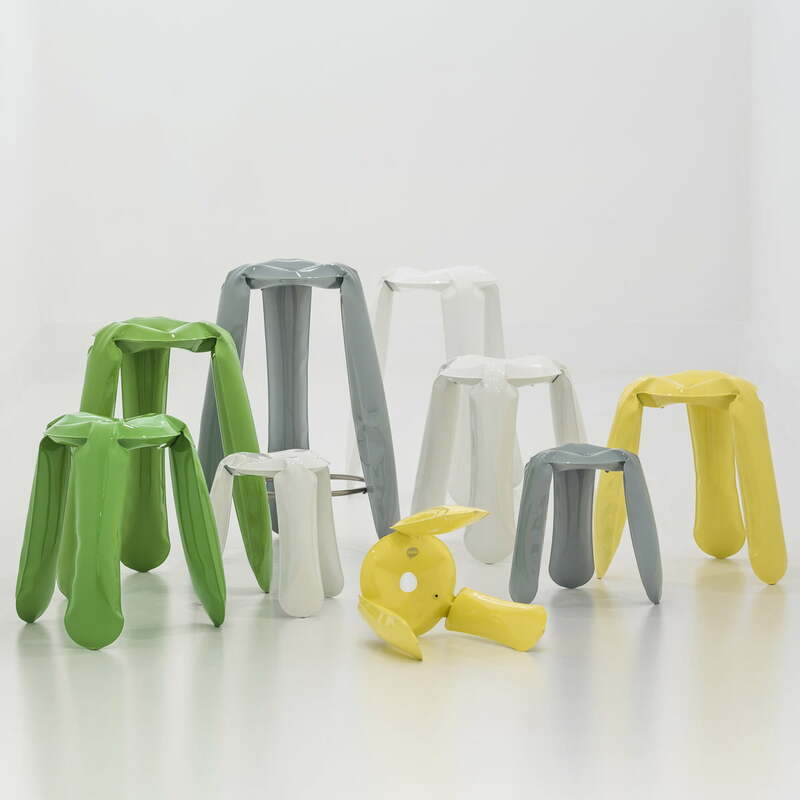 As a result of the innovative manufacturing process no Plopp stool matches the other in the end. The sheets formed by air have individual creases and wrinkles that make each stool a truely unique piece. 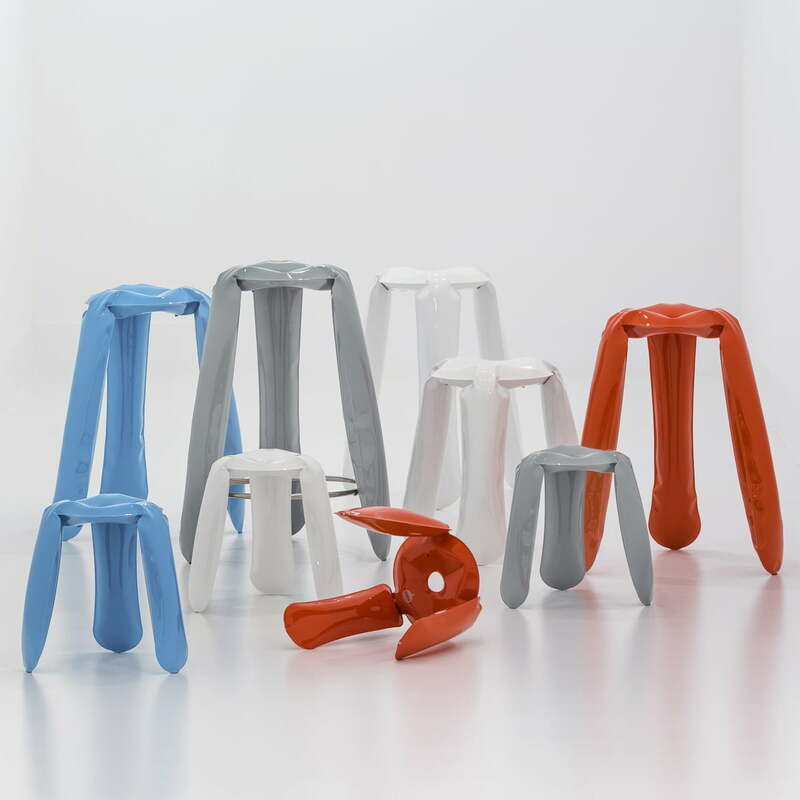 In addition to the red dot design award 2008 the Plopp stool could be examined in numerous exhibitions and last but not least has the potential to become a true design classic. The colourful Plopp is available in four heights: as a stool or Mini stool as well as in an elevated version for the counter. 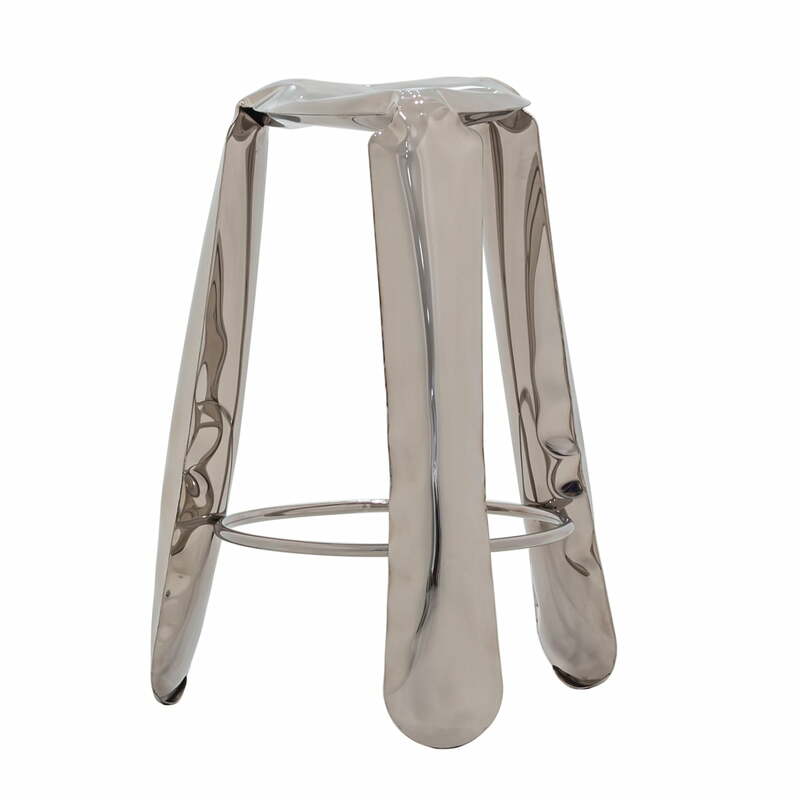 Any of the stools can be ordered in a total of nine different colours or the polished stainless steel version. Thanks to the special production method, each stool is a real unique piece. 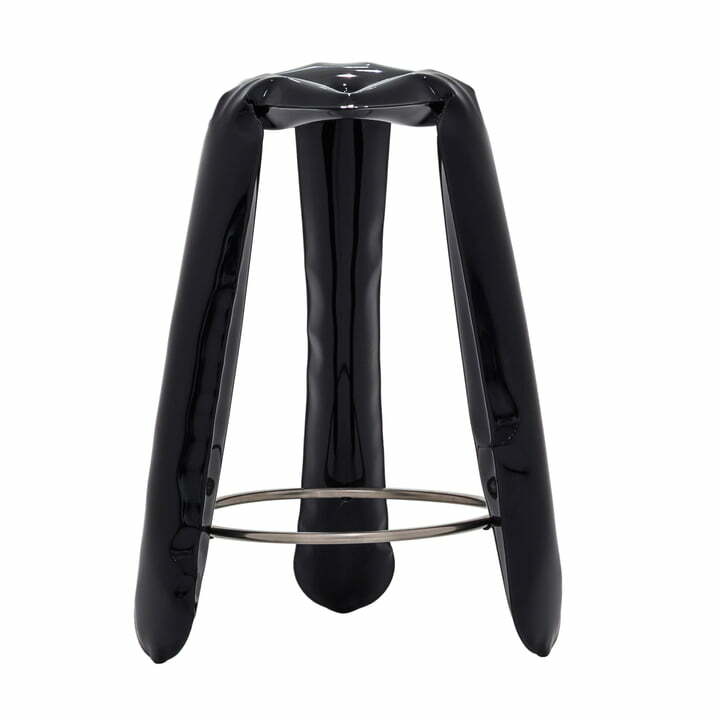 The steel frame is formed with air, which gives each stool unique stretches and bends. The stable stool inspired by a particularly easy look that results from the special manufacturing process. Like that they look like inflated balloons. 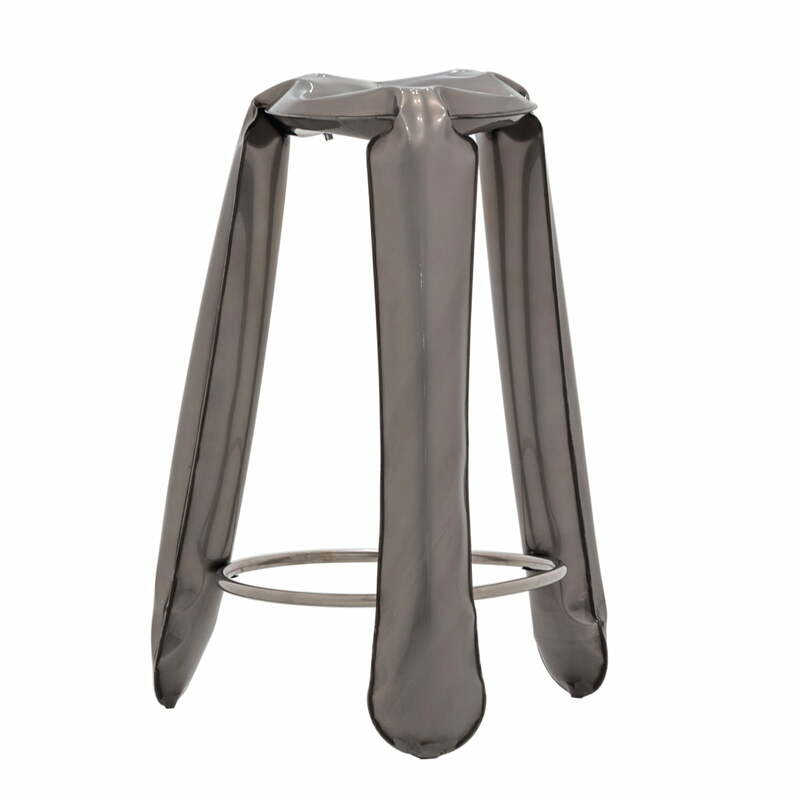 Image of the stool’s top - the Plopp Mini in silver by Zieta The painted steel sheet is easy to take care of and gives its surrounding an industrial look.